The Fondation Vincent van Gogh Arles presents Hot Sun, Late Sun. Untamed Modernism, a major thematic exhibition featuring exceptional loans of works by Vincent van Gogh and Pablo Picasso, starting 21 April 2018. 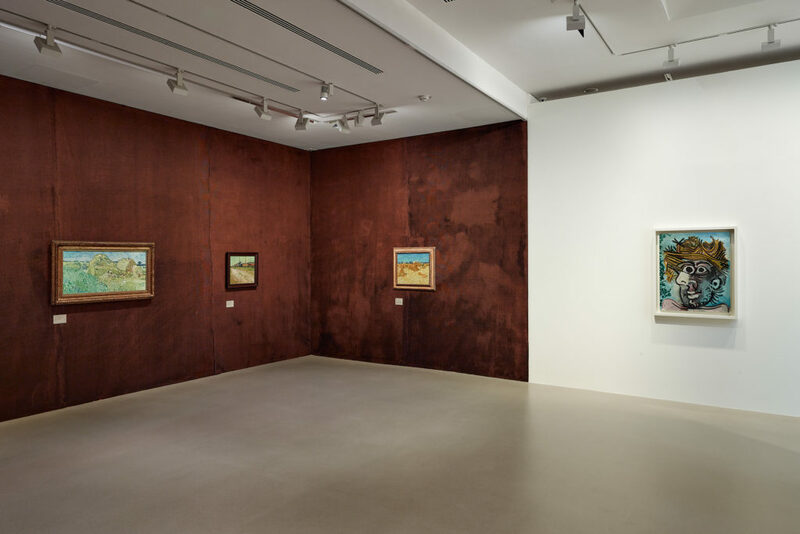 This thematic exhibition pursues a free exploration of the sun, understood as a metaphor interrogating the artists’ respective relationships on the one hand with the Mediterranean region, home to experimentation, and on the other with Modernism and Postmodernism. 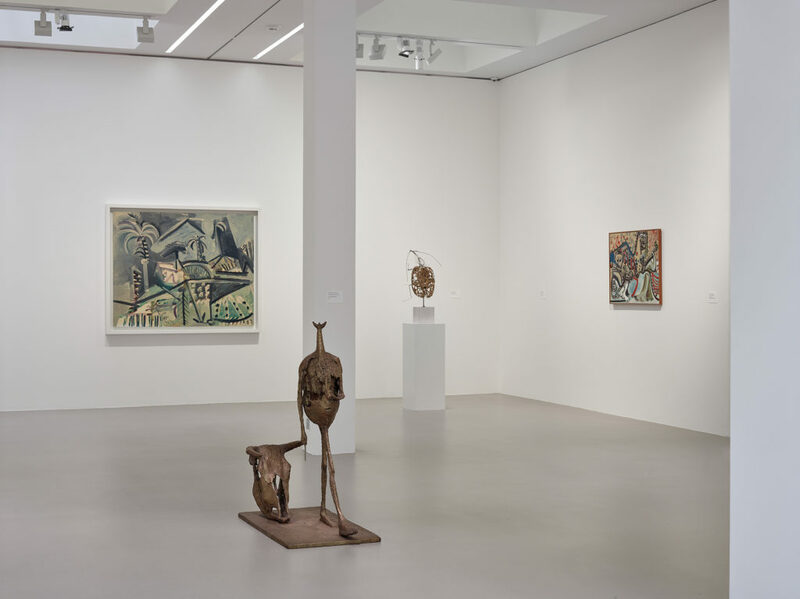 It brings together outstanding loans of paintings by Vincent van Gogh and late paintings by Pablo Picasso and Alexander Calder, as well as works by Etel Adnan, Giorgio de Chirico, Adolphe Monticelli, Sigmar Polke, Germaine Richier, Joan Mitchell and the musician Sun Ra. Hot Sun, Late Sun. ModernismUntamed thereby seeks to identify a family of artists whose origins go back to Monticelli – a member, alongside Jean-François Millet, of the pantheon of painters who inspired Vincent van Gogh. The “hot sun” of the title symbolises a Modernism at its blazing zenith, embodied in the work of Van Gogh as from February 1888, when the Dutch artist discovered Provence. The “late sun”, belonging to the end of the day, is found in the works of Picasso’s final years, where its last rays naturally correspond to the artist’s advanced age. Filled with a sense of urgency, Picasso turns to formal abbreviation, as witnessed by The Old Man, executed in 1970 at Mougins. A hasty and fluid painting – qualified as a “daub” in former times, but importantly liberated from the past – characterises the seven Picasso canvases presented in the exhibition. All were created between 1970 and 1973, when Picasso was living at Notre-Dame-de-Vie in Mougins. Head of a Man with Straw Hat(1971) – a summer picture – explicitly evokes Van Gogh, who shares with Picasso the movement of and within painting that can be traced back to Monticelli. If Picasso’s “late period” is commonly associated with an art rich in formal invention, in the case of Giorgio de Chirico it is a period of revisiting earlier motifs, such as the representation of the sun on an easel. De Chirico’s self-portraits – sets of disguises with neo-Baroque accents – reappear throughout his career. They pursue that obsession of painters, the art of self-staging, to a point bordering on the ridiculous. The light of Postmodernism appears in the works of a different generation of artists, one to which Sigmar Polke belongs. His Moderne Kunst(1968) is a young artist’s ironic comment on the fathers of the modern art whose pictorial writings and slogans he parodies. In his much later works, such as Lapis-Lazuli II(1994), Polke’s use of the precious ultramarine pigment, obtained from a gemstone, allows him to invoke the history of the divinisation of its colour as well as the history of humanity and of minerals brought to Europe via the Silk Road. 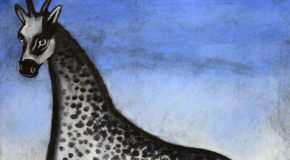 Blue, omnipresent in nature, here also represents the sky and the Mediterranean. The other works in the exhibition lead us to the absolute sun, to the sun god and to the intense heat of a star, represented as a ball in the work of Alexander Calder. A major figure in modern art, Calder is famous for his mobiles and stabiles. The Fondation presents a selection of his gouaches from the 1970s, whose primary colours and stylised forms reveal an organic and graphic continuity between Calder’s sculpture and his works on paper. The visual art produced by Etel Adnan, who is also known for her writings, issues from a more spiritual connection with the world. Her landscapes, including those in the series The Weight of the World, offer an open memory. 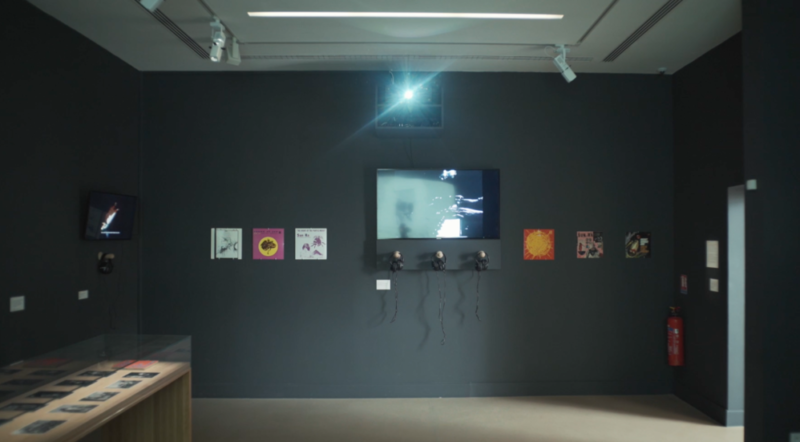 The artist herself has said of them: “You don’t recognise what landscape it is, as it is not a particular landscape – it is maybe a memory of a particular landscape.”1 The exhibition extends, naturally, to a cosmic sun as embodied by the vision of musician Sun Ra. 1. Cited from “The poetry of paint: an interview with Etel Adnan” by Anna Coatman, 2 June 2016, RA Magazine, summer 2016, online at https://www.royalacademy.org.uk/article/ramagazine-etel-adnan-interview. Picasso-Méditerranée, an initiative from Musée national Picasso-Paris. “Picasso-Méditerranée” is an international cultural event which will be held from Spring 2017 through to Spring 2019. Over sixty cultural institutions have come together to conjure up a programme around the work « obstinément méditerranéenne » of Pablo Picasso. Initiated by the Musée national Picasso-Paris, this journey into the creation of the artist and across the places which inspired him, aims at strengthening ties between all the shores. More information about the Picasso-Méditerranée initiative. Pictures: View from the exhibition. Photo : François Deladerrière. All rights reserved. libero leo. tempus felis et, neque. ante.